Cooking the “crust” separately from the filling has many benefits ease of preparation, reduced cooking time and most importantly no soggy crust! Of course for this approach you can use any pie filling, sweet or savoury, but I chose to make a mince beef filling. 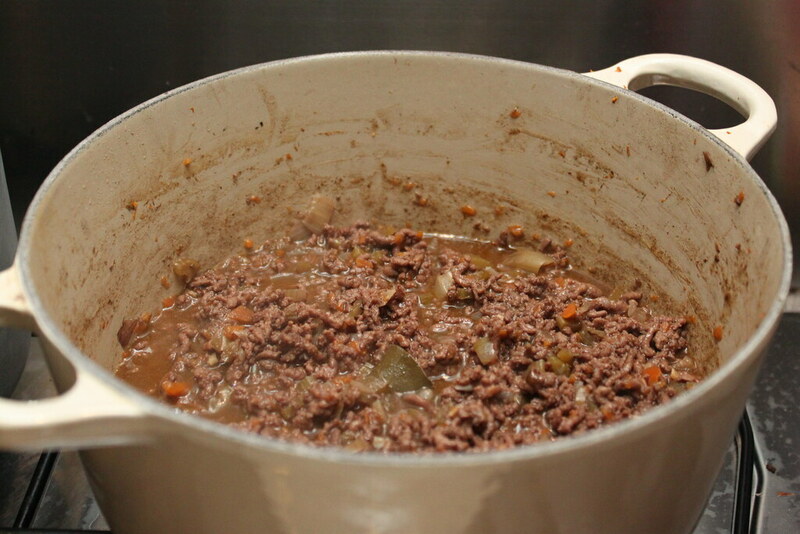 Make your pie filling first by browning the mince, onions, celery and garlic in a large casserole pan. After the meat is browned add the carrot, red wine and stock and leave to simmer for at least an hour. During the simmering time add more water if it starts to dry out and add gravy granules to taste. Preheat the oven as per the puff-pastry cooking instructions. Cut into 4 rectangles and place on a baking sheet. Cook until starting to brown, this may be sooner than stated on the packet (I think it was either something to do with the temperature of my oven – or the fact that it was cooking in a single layer). To plate up add spoonfuls of pie filling and top with a puff-pastry rectangle fresh from the oven. 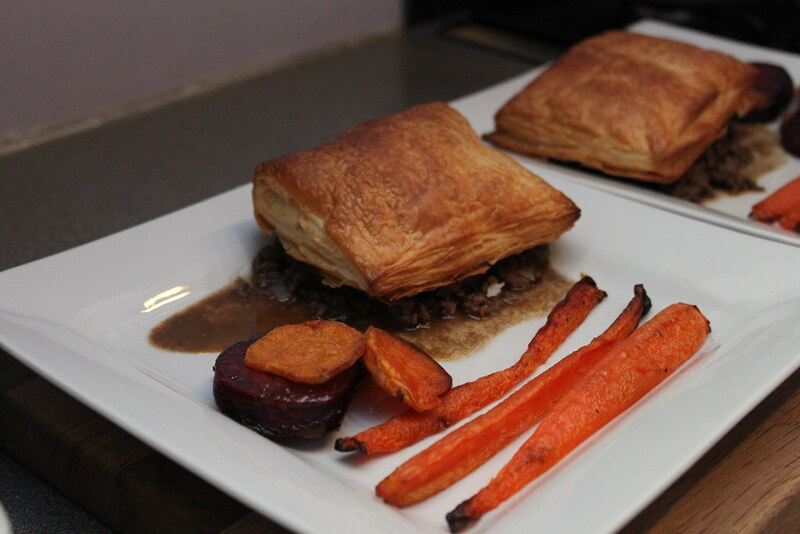 I used roasted vegetables as a side that I cooked in the oven along side the puff pastry. You can see all these pictures on Easy Minced Beef Pie on Flickr.